Because the United States is so large, a shift from one region to another can be quite disorienting. Adjusting to Seattle is not easy after living in Miami. Pennsylvania is not Idaho. 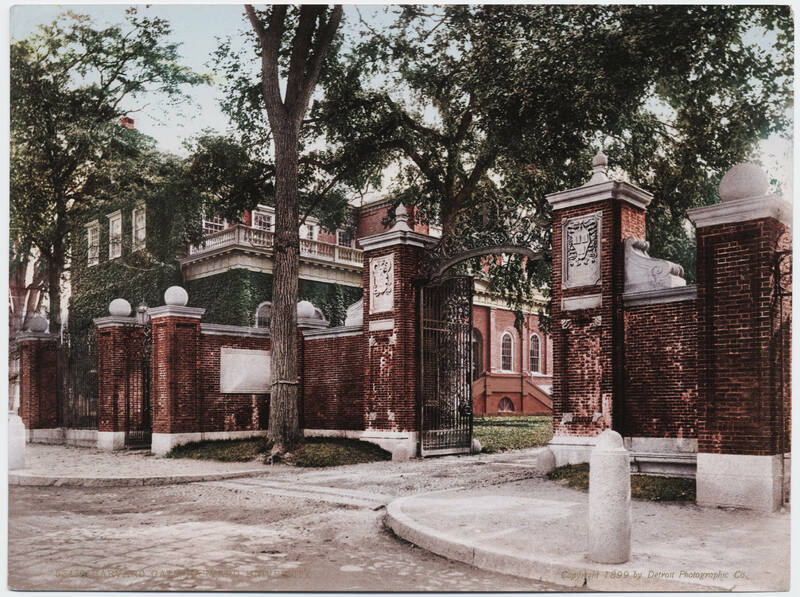 I realized this when, after growing up in California and completing my undergraduate years at Stanford, I moved to New England to begin a six-year stay at Harvard leading toward a Ph.D. in History. This story dates from 1965, and graduate school is an esoteric topic for many. But I suspect that the experience I want to describe will be very familiar to anyone making the transition from California to New England today. In one of his books, Wallace Stegner talks about the way the air changes your perception of things as you move from the western United States to the east. In most parts of the west — assuming there is no rain or fog or smog — the air is clear. It has a transparency that makes you think distant objects are very close. As you move toward the Atlantic coast, however, the increasing humidity gives you the subconscious feeling that — as Stegner puts it — a layer of gauze has come between you and everything you see. That feeling may have been the first cause for the strangeness I felt in the east. The sight lines also took some getting used to. Along most of the Atlantic seaboard, the vistas are small and close by western standards. Unless you happen to be at the top of a mountain or at the seashore, there aren’t many of the unobstructed, hundred-mile views so common in the west. The east does offer opportunities for intimacy with the landscape — canoeing on a small, meandering river, for example — and an up-close, very interesting, tradition-dominated mixture of the human and the natural, as, for example, when you see a stone house at the bottom of a hollow. The east is also where the conservation movement began: Walden Pond, in Concord, Massachusetts, continues to be its most important point of reference. But there aren’t many visual experiences to satisfy an appetite for grandeur, largeness, or absence of limits. Things feel more compact. In the east, the horizon seemed very close and the sky felt right on top of me. I felt confined when I arrived in New England. I also felt ill at ease culturally. Harvard today is slightly more relaxed than it was when I went there. But in 1965 it was still a rather formal place: admirably polite, but marked by Calvinistic reserve and extreme attention to the dignified maintenance, or in many cases the creation, of pedigree and status. One of my history professors at Stanford, a refugee from Harvard, cautioned me to avoid the “braying solemnity” of the place and asserted that, at Harvard “people think there is a necessary correlation between competence in one’s subject and gravity of demeanor.” There was also a vaguely astringent feel to the institution, as if Harvardians were intent on sucking the life out of any attempt to relax or have fun. 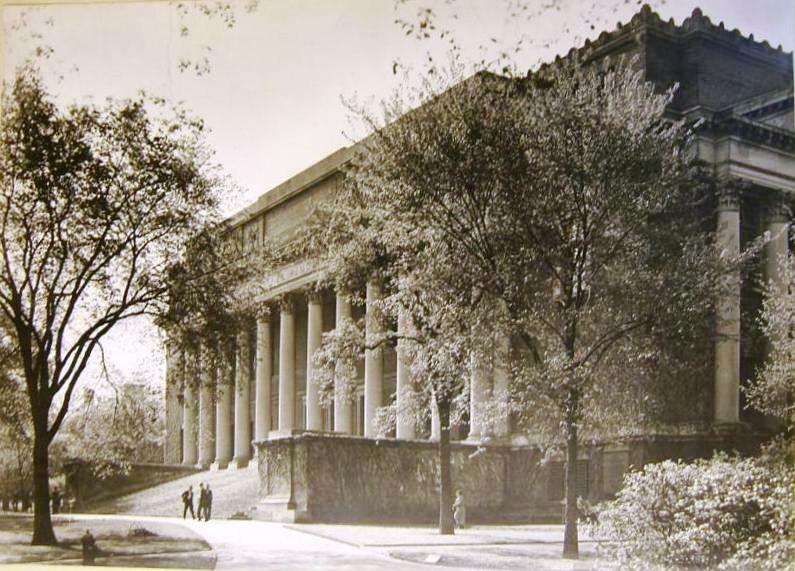 In the fall of 1965, when I arrived in Harvard’s home city, Cambridge, Massachusetts, I was intoxicated as I enjoyed the bright students, famous professors, historic buildings, extensive facilities and opportunity to get to know the east coast. But, as the months passed, and I experienced the eastern academic establishment up close, I saw drawbacks. The work was long and hard. There was little time for social life. And there was not much in the way of praise or encouragement. It occurred to me that, had I stayed in California, graduate school at Stanford or UC Berkeley or some other school in the state might have been just as demanding. But I suspected that Harvard placed a greater value on heaviness. While I welcomed the intellectual rigor of the university, I tried through petty subterfuge to counterbalance all the sternness. I joked about surfing on the nearby Charles River, in response to which my professors adopted tolerant, prune-faced smiles. And my teachers and fellow students must have wondered why, when nearly all the other men in graduate school wore the tweed sport coat and tie which was the uniform of the day, I insisted on wearing Pendleton shirts even during the months when they were too drafty to protect against the New England winter. 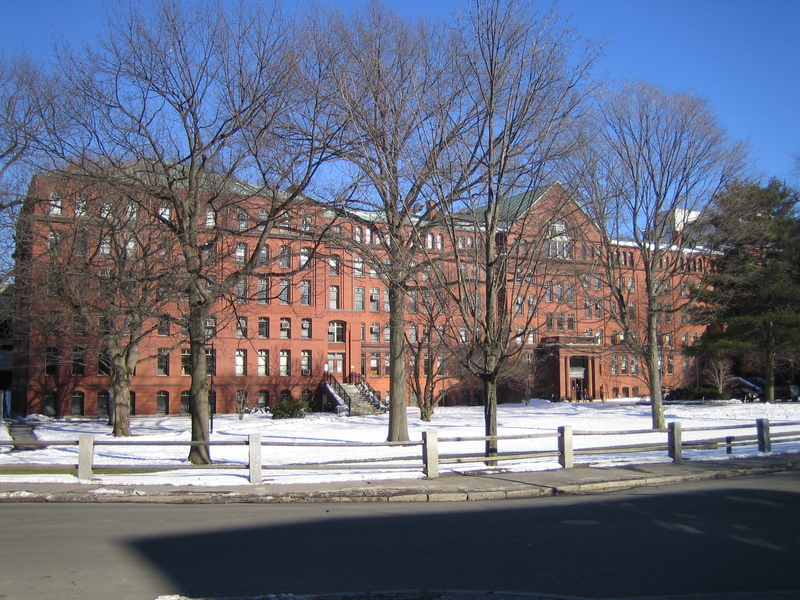 Most of my experiences of Harvard were associated with winter. The incredibly beautiful autumn seemed to last only a few weeks. 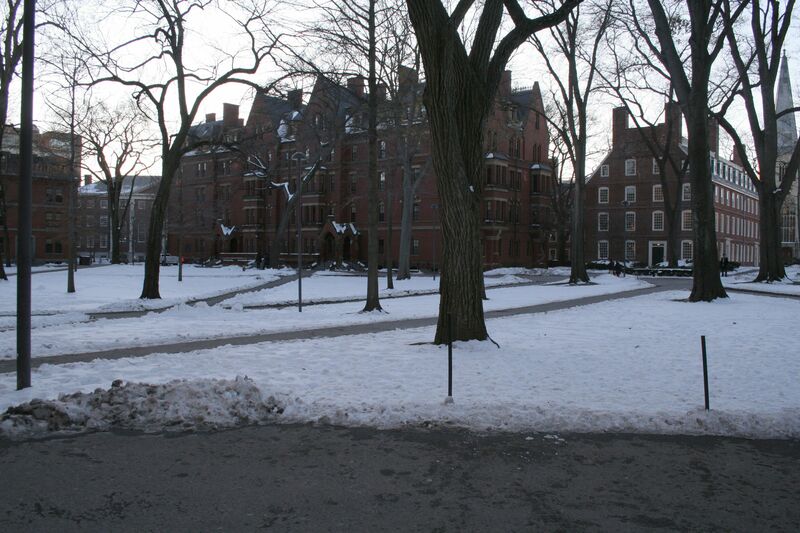 Then, for a metallic six months, there were no leaves on the trees and Harvard Yard was gray, cloudy, and cold. The fresh, white snow quickly became dirty as steel gray sheets of ice imprisoned the vegetation. Coming from Stanford, I found that my mind adhered obstinately to sun, not snow; to palm and redwood, not maple and laurel; to colonnades, Romanesque sandstone, and tile roofs; not brick walks, Georgian terraces, and gables; to campus dormitory names like Serra, Escondido, and Madera, not Eliot, Winthrop, and Quincy. To this extent, my ability to be a part of Harvard was diminished before I ever saw the place. To gain perspective about the east coast, I kept in touch with friends at Stanford. 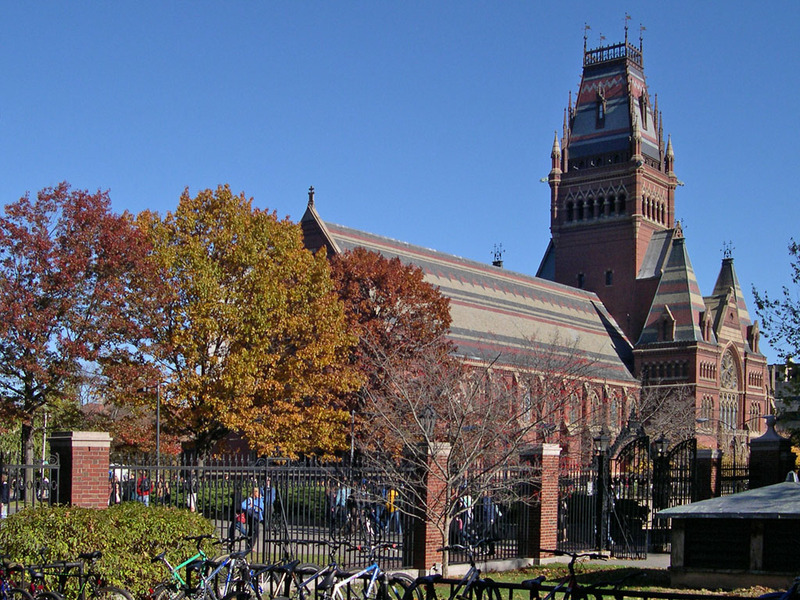 I was surprised how much my letters to them talked not only about academic matters, such as descriptions of Harvard professors and the interesting books I was reading, but also about the possible connections between learning and landscape. I recall one instance in particular, when I wrote a letter to my good friend Dan Endsley, the editor of the Stanford alumni magazine, and for whom, during my junior year, I had written some articles. I asked him if he would be interested in having me write an article on Frederick Law Olmsted’s nineteenth-century plan for the Stanford campus, the poetic feelings prompted by the hills behind the University, and what I called, with some pomposity, “the ecology of learning.” Dan wrote back a long letter saying he liked the idea even though my terminology was infelicitous. But he couldn’t risk commissioning the piece. 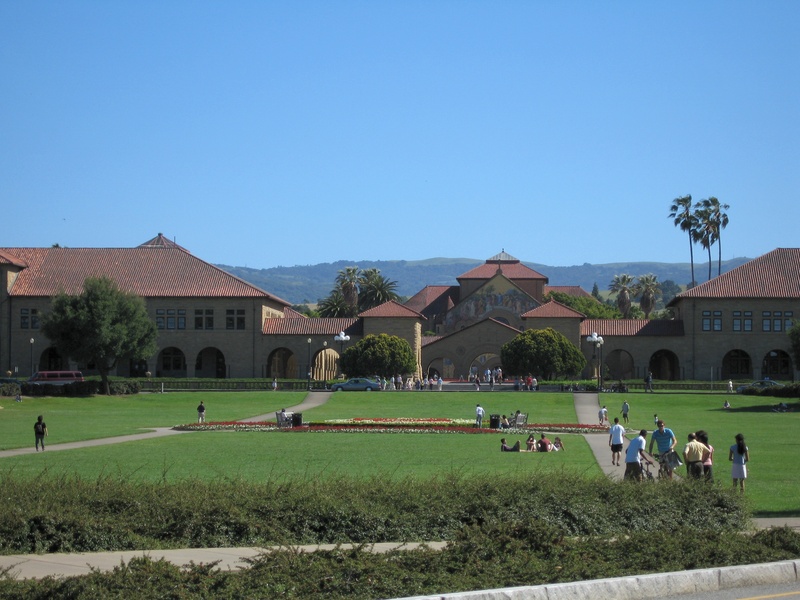 “Some years ago,” he explained, “I began an article called ‘What is Happening to the Stanford Lands?’ It almost cost me my job.” Dan’s comments helped me to remember that my undergraduate institution was not a perfect place, either. Beyond Cambridge, of course, there was greater Boston. From Cambridge, the subway ride to downtown Boston (on the MTA, made famous by the Kingston Trio song) took only eight minutes. As a result, Boston, too, was an important part of my experience. Perhaps I can best convey its effects on a Californian by describing what became one of my favorite pastimes, wandering in the city. 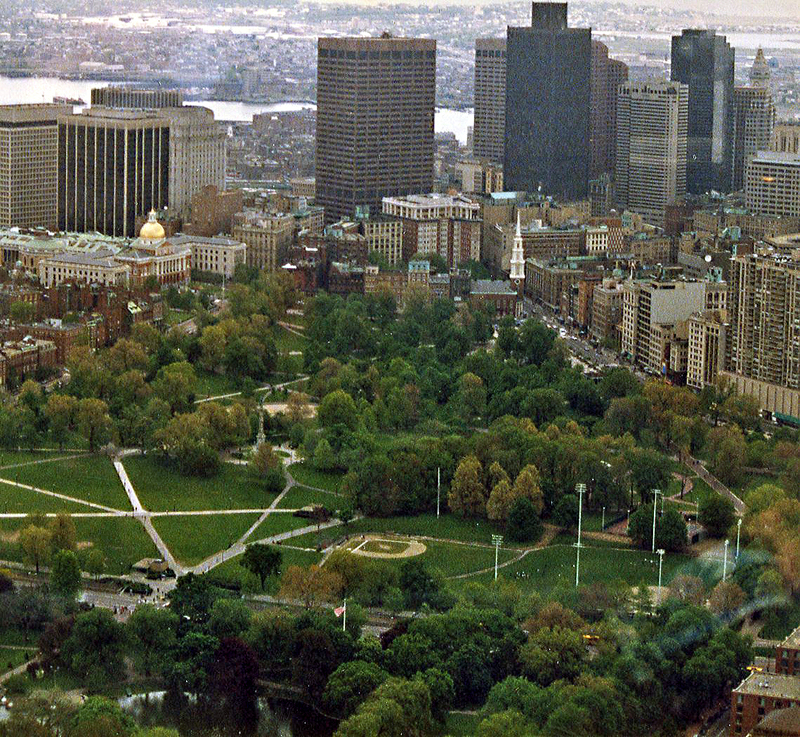 I had come to Boston to study for a Ph.D. in History. Meandering is a congenital love of historians. Some walk through graveyards; others traverse old battlefields. Some hike along historic trails. Some go aboard old ships or visit castles and cathedrals, and go off into side rooms by themselves to search out the spirits in the spaces. In Boston, historians walk the city’s streets. I really could not count the number of times I walked around Boston. I saw the tourist sites such as Paul Revere’s House and Bunker Hill Monument. I spent entire days in the rain walking through warehouse districts. I walked along the Charles River, and past the brownstone houses on Commonwealth Avenue. I walked next to the Harbor. I walked over freeways ramps where there were not even any sidewalks. I went in and out of bars and corner stores around Boston Garden before Celtics basketball games. I observed pigeons on the windows of old buildings. Around Haymarket Square, I observed the old wagons that still delivered meat and vegetables, and I took in the fetid smells. I trudged through snow and stood and watched twilights. No matter where I walked, I usually went alone. I had my share of friends. But I had concluded long ago that most people did not enjoy wandering around a city as much as I did. Even when I knew the friends would enjoy the experience for an hour or two, I did not bring them along. Being alone with my fantasies and unsorted feelings gave more pleasure than acting as a tour guide. I started out one particular wandering by taking the MTA downtown and walking up to Beacon Hill. I planned to hunt for silversmith shops. My sister and I – in touch by letter – had decided to buy my parents a set of sterling silver portrait frames for their wedding anniversary. I thought Beacon Hill, historically known for silversmith shops, would be a good place to look. I found two old shops, but only after a surprisingly difficult search. At both, the elderly owners told me that handmade silver was much harder to come by than in the past. The costs of labor made prices too high to justify regular production of new items. Most available pieces were antiques, out of my price range. I left Beacon Hill and walked across the Common and the Public Garden, which were unspeakably beautiful in their fall colors. 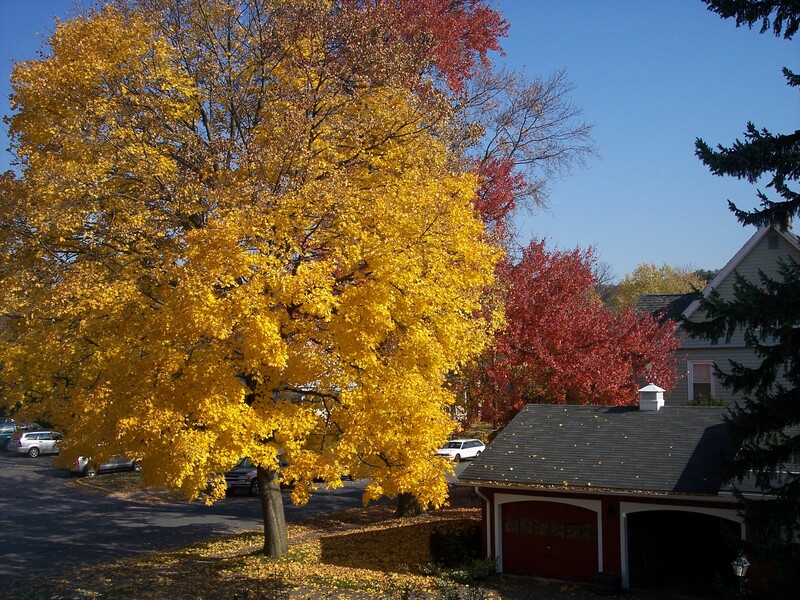 Wet piles of orange and brown leaves cushioned my feet on the brick sidewalks. The old statues, gray, and white, and green, sent my mind into the past. As I walked next to the historic graveyard in the Public Garden, a cold wind came up. I pulled my heavy tweed topcoat more tightly around me and tucked my brown plaid scarf more securely under my chin. I walked from the Garden across the street into the Tremont business district, and down a few blocks to Shreve’s jewelers, one of Boston’s oldest and most famous firms. Here, after explaining my problem to a sales clerk, I was finally able to find what I needed – a fine set of sterling silver frames, used but not antique, better made than modern items, at a price I could afford. I was momentarily jarred out of my venerable Bostonian mood when the clerk started telling me how much she admired Ronald Reagan. But I recovered, put my coat and scarf back on, and politely went on my way, package under my arm. I took some time to window shop along the streets around Shreve’s. Then I came upon a bookshop in the basement of one of the old brownstones. I went in and browsed. Eventually my eye came upon a history book I had been looking for. I paid for the book and left the shop, delighted that my day had become so productive. Down the street I found a coffee shop on the ground floor of an old office building from the 1920s. I stayed there for about an hour, reading parts of the books I had just purchased. Then, when I had read enough, I put the book under my arm with the silver frames, made my way back to the MTA station, and returned to Cambridge pleased that, in this instance and a few others, I was a Californian quite delighted to be spending some time in New England.